HG10. 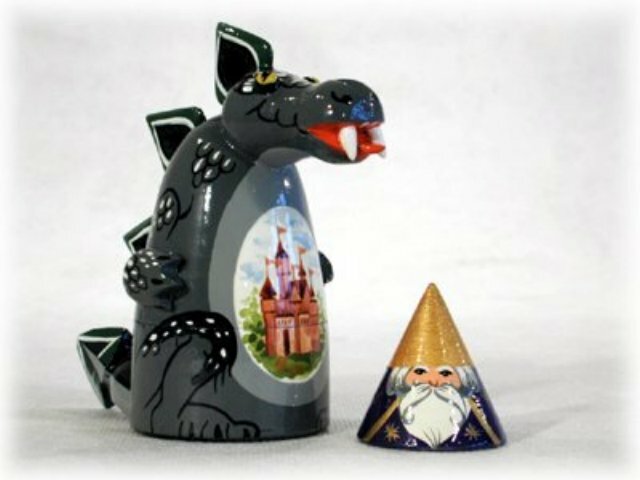 Dragon w/ Merlin Cone Doll 2pc./ 3"
A tiny wizard cone nests inside a fierce friendly dragon. Painted in St. Petersburg, it's a Golden Cockerel exclusive and one of our most popular items.